Hope everyone had a nice Passover and Easter! I spent the weekend in Dallas with friends and family and I am excited to tell you about our Saturday night dining experience tomorrow. For now, I wanted to share with you this delicious panini recipe. 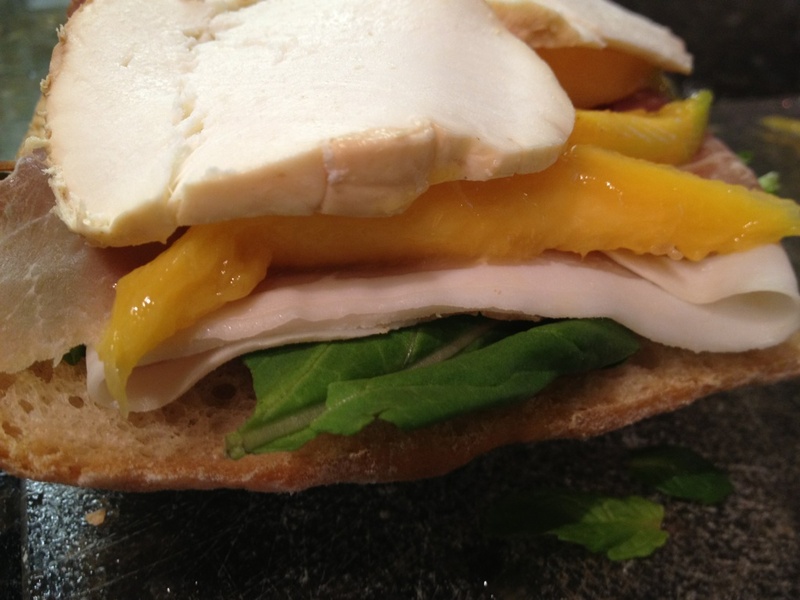 The saltiness of the prosciutto, the sweetness of the mango and the bitterness of the arugula make this a great combination for a panini. Also, the mint adds a nice touch of freshness to this delightful sandwich. 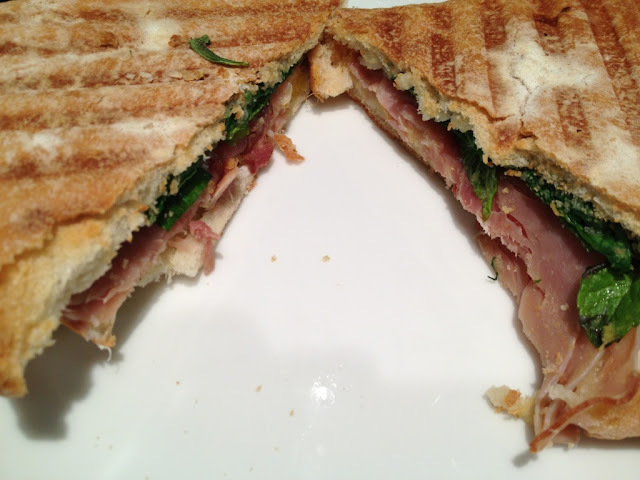 I promise you will love this panini especially in the summertime! If you do not have a panini maker, preheat a cast iron skillet in the oven at 350 degrees. Slice the ciabatta rolls in half horizontally and scoop some of the bread out of the top half to hollow it out. Drizzle with olive oil. On one side of the bread, pile half the arugula and top with half the mint. 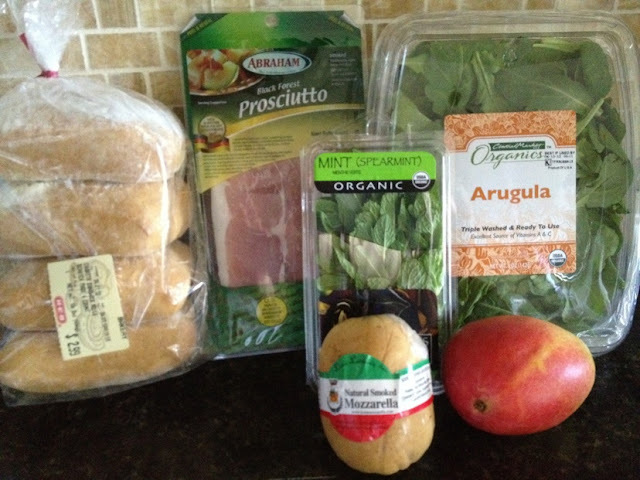 Lay 2 slices of the prosciutto on the arugula, followed by the mango slices and mozzarella. 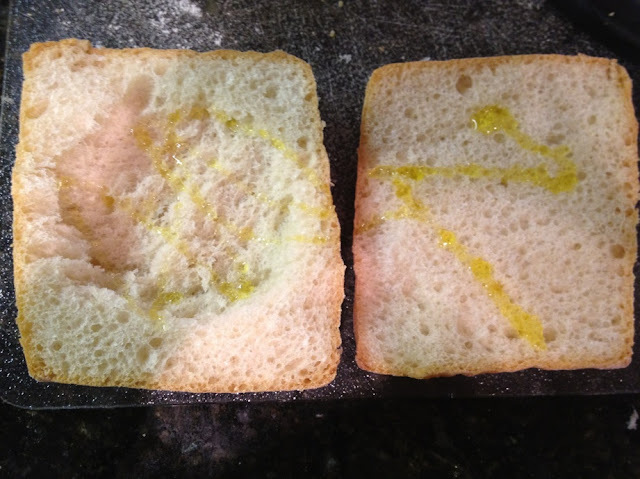 Cover with other half of ciabatta bread. 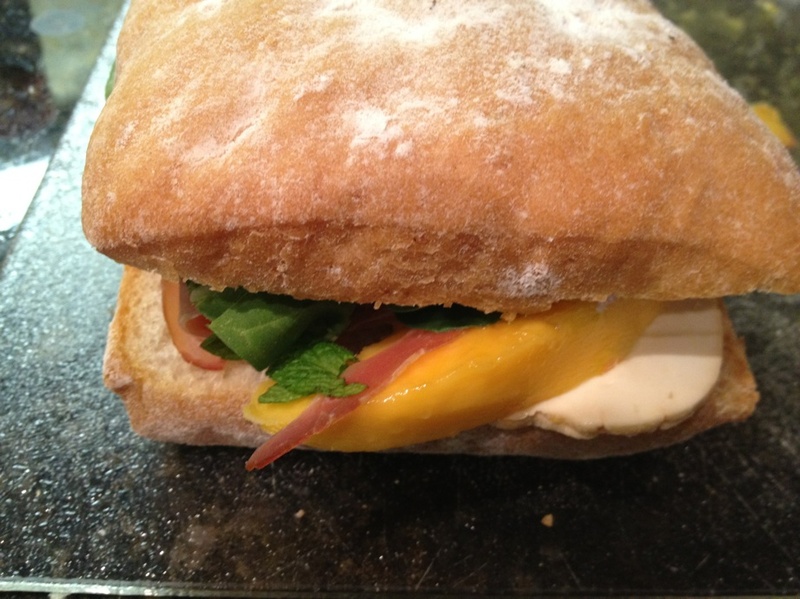 Place the sandwiches either in a panini maker or in the oven and cook for 5 minutes or until the cheese is fully melted. If you place the sandwiches in the oven, place them on a baking sheet and rest the cast iron skillet on top of the sandwiches to get that "panini effect."